I paper pieced her pants and colored Megan with Copic Markers. The dies are Lawn Fawn's Stitched Rectangles. 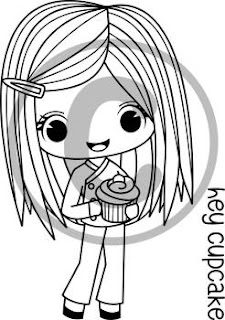 The sweet cupcake paper is from Doodlebug Design, Sugar Shoppe.